Roofing problems have the potential to impact any homeowner who isn’t living in a nuclear bomb-proof bunker, which means that it’s essential to detect any problems and fix them early on, before they get out of hand. 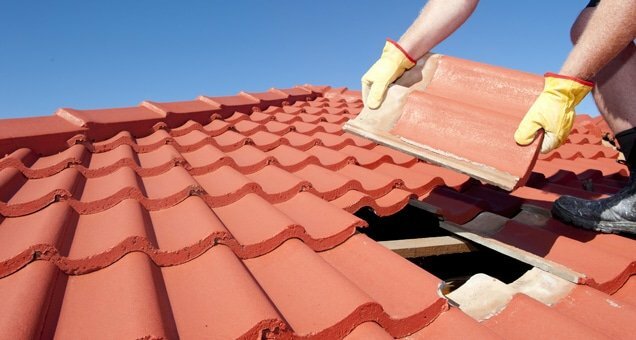 By taking preventative action as opposed to fixing the roof after its caved in, you should be able to save thousands of dollars in the long run. The only problem is we’re not all roofing experts, and the fact it’s so high up makes it difficult for us to know when maintenance work is needed. Lucky for us then, our friends at CountryTowne have produced an easy to understand infographic that highlights the most common roofing problems that could affect homeowners. The most noticeable problem for many of us will be leaks. That constant drip, drop, drip, drop is a dead giveaway that there’s a problem that needs to be fixed. The good news is that so long as you spot the leak early you may be able to repair it by yourself, thereby preventing it from becoming a bigger problem that requires calling in the professionals.